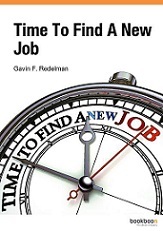 This book has been written to provide you with proven advice, tips and strategies to help you through the job process. This includes: Resume Writing Strategies; The point of the Cover Letter; Creating that professional image through your social networks; Preparing yourself for the job search; The importance of Networking; Interview Preparation; Job Search Approaches; Interview Questions. Laurel Alexander is a trainer in career management and has managed two career development centers, organized open learning programmes for careers guidance and provided careers counselling to management professionals, the long-term unemployed and adults with special needs.